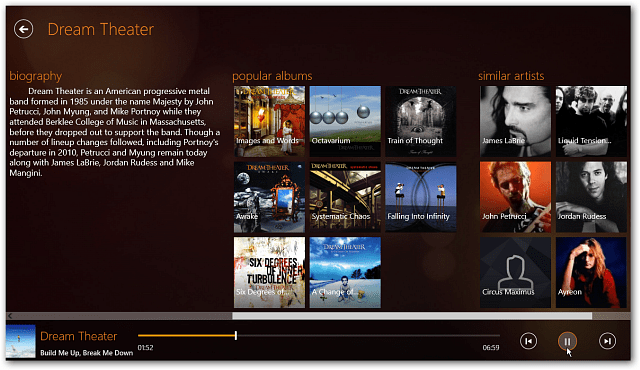 Our favorite desktop media player, VLC, now has a modern app version available for for installation on Windows 8 and 8.1 via the Windows Store. 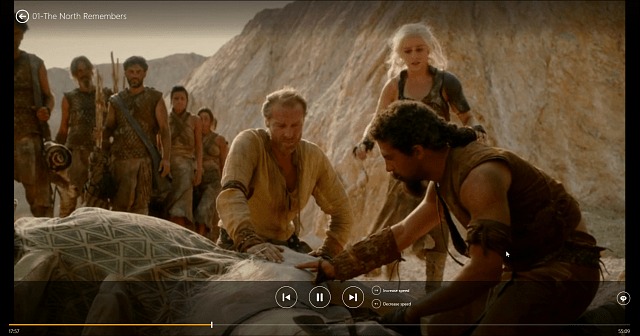 Our favorite desktop media player, VLC, now has a modern app version available for for installation on Windows 8 and 8.1 via the Windows Store. The reason we like VLC so much is because it plays virtually any media type hassle free, and it’s available for Windows, Mac, and Linux. This is a beta version and there are a few caveats and missing features compared to the desktop version. So expect some issues and bugs while using it. To run it, you’ll need a full version of Windows 8 or 8.1. It currently doesn’t work with Windows RT – which is installed on Surface, and Surface 2 devices — which seems odd considering it’s a modern app. When first installing the modern version of VLC it will be unresponsive will indexing your music and video folders on your hard drive. It will also find any external drives you have attached, and it sees my Windows Home Server, but I am not able to access anything yet. If you have a lot of media, expect this to take some time…and in my experience it crashed a couple of times. 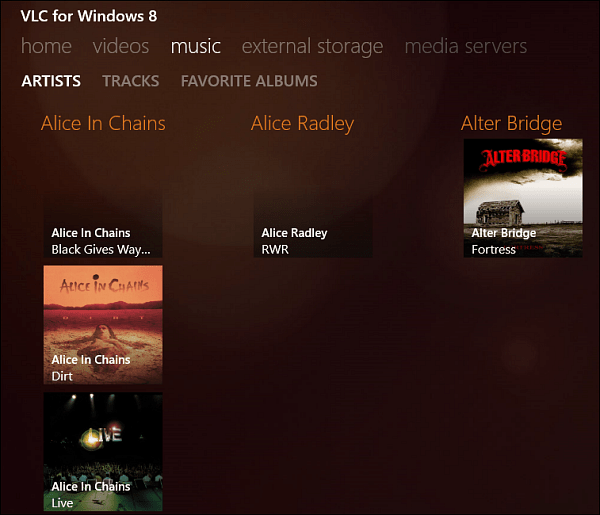 While it indexed my media, it displayed it in a similar manor of Xbox Music with artists in alphabetical order and nice icons for album art. Here’s an example of playing a video. Right now there isn’t a way to control the aspect ratio or the ability to use the filters you can on the desktop version. Right-click on the screen and it offers you basic playback functions. The Settings and features are almost non-existent in this beta. However, it does support closed captioning and subtitles. There is also a nice Search feature you can access from the Charms bar. Another cool thing it does while playing music is give a short biography of the artist, other albums from them, and a list of similar artists. 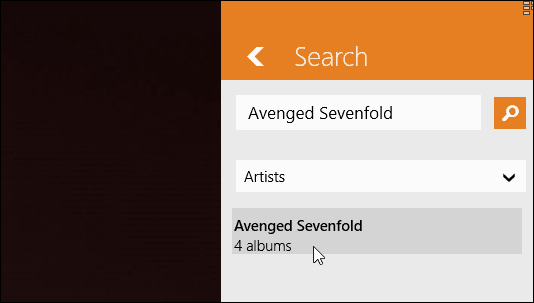 Again, Xbox Music does that too. While it isn’t perfect yet, it does work for getting the job done — which is playing your music and video files. The file indexing is a nice touch as well. It doesn’t support all of the types that the desktop version does, and there’s room for a lot more, it’s a start and worth trying out if you’re a VLC fan. Something that I really like is that it plays my FLAC music files. I previously covered how to play FLAC files on Windows 8 and RT using the Media Monkey app, and that also allows you to stream the music to other devices like Xbox 360. But I am sure I’ll switch to VLC once it get’s updated and is more stable. After trying it out, leave a comment below and tell us if you like it or not. 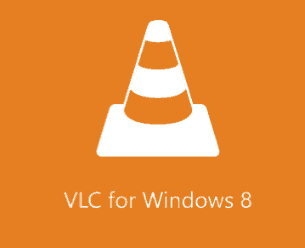 After reading the article and being a long time fan of VLC, I immediately downloaded it from the Windows Store onto my Dell Vue 8 Pro. I was quick to install wirelessly. Unfortunately, my initial Clicking on the VLC Icon gave a produced a brief message window, followed by the program disappearing and a popup activating directing me to `install the next disk of the multi-disk catalog’. HUH?? This is a (cd-driveless) TABLET, not a desktop and I certainly have no way of installing the next disk, even if I knew what it was looking for. Sorry, but after several tries to get rid of the message, rebooting the program, I gave up on this. Yep. This is a BETA. In my view, it was released (even for a Beta) for general usage, too early. Someone failed in the QA process. Dell isn’t a no-name brand and its behavior over the past 4 months I’ve had it indicate it (probably) follows Microsofts specifications on installing new programs. So, if VLC worked on this for awhile, they should have tested it on such products before sending out.